Winter has finally made an appearance, and chances are you need an excuse to spend more time outdoors. Take advantage of this weather by designing a bonfire pit for your garden. Nothing compares to the soft glow and crackle of the bonfire as friends and family members swap stories and sing classic ghazals late into the night. If this sounds like a good idea, you can begin by researching different bonfire pit styles online. While some homeowners may look forward to the challenge of a home improvement project, others may prefer getting the assistance of an experienced architectural design firm in Pakistan. There are primarily two kinds of outdoor bonfire pits – gas-burning and wood-burning. Wood-burning bonfire pits have a magical, campfire-like quality to them. They also require people in the vicinity to practice more caution due to the open flame. Gas-burning bonfire pits may not be as alluring, however, they are much easier to control. All one has to do is flip a switch and the fire is out. There is an endless variety of bonfire pit designs online, so it’s best to know what one wants before starting a search. If cooking is going to be the primary activity, a hanging grill with double or triple shelves will do the trick. In case you are just going to curl up with a book and some coffee, a deep, square-shaped pit topped with smooth stones will work well. In addition to the pit itself, a proper bonfire requires fire-starter material like tinder, stones, logs, and kindling. Remember to also have a couple of matchboxes, a bug repellent spray, and some blankets handy for your guests. Other necessary supplies include foldable chairs, a picnic cooler, skewers, a kettle, disposable cups and plates, and a fire extinguisher. 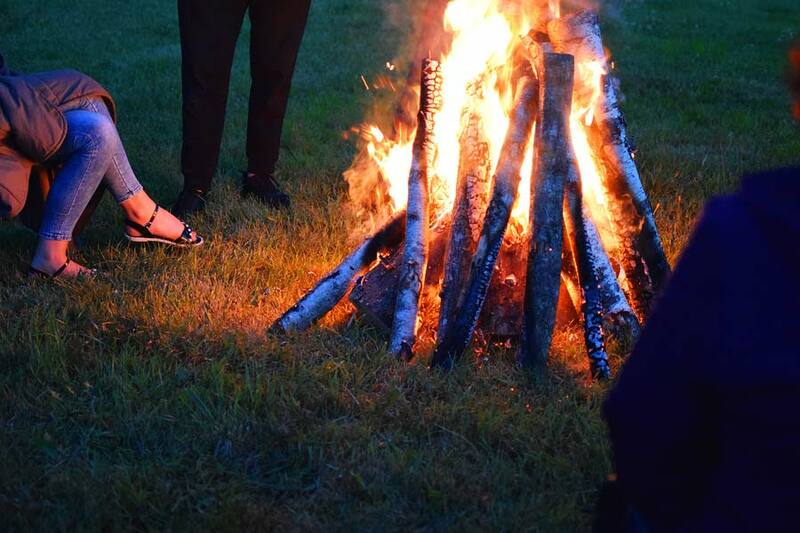 A vital step in setting up a bonfire is picking the right location for it on your property . 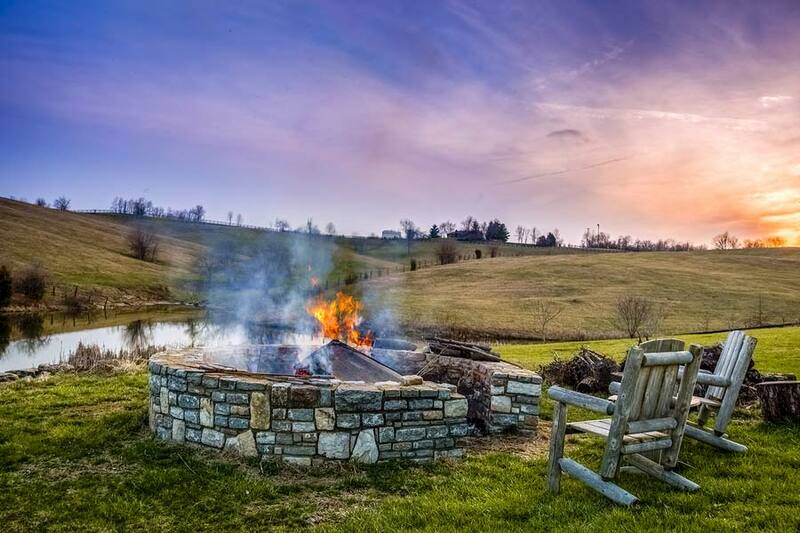 The fire pit should be situated away from any fencing, walls, as well as far away from any plants or other flammable objects. You will also have to check how windy that spot is. Strong wind currents can ruin the bonfire before it even begins! With the spot selected, now you can turn your attention towards the seating itself. If outdoorsy activities, like hiking and camping, are what you like, go for the classic log stumps arrangement in a semi-circle around the pit. For those inclined to spend hours under the stars, add in a few full-length loungers with a weather-resistant coating. Some design professionals prefer the mix-and-match approach for seating, so there may be a different type of chair for each family member. 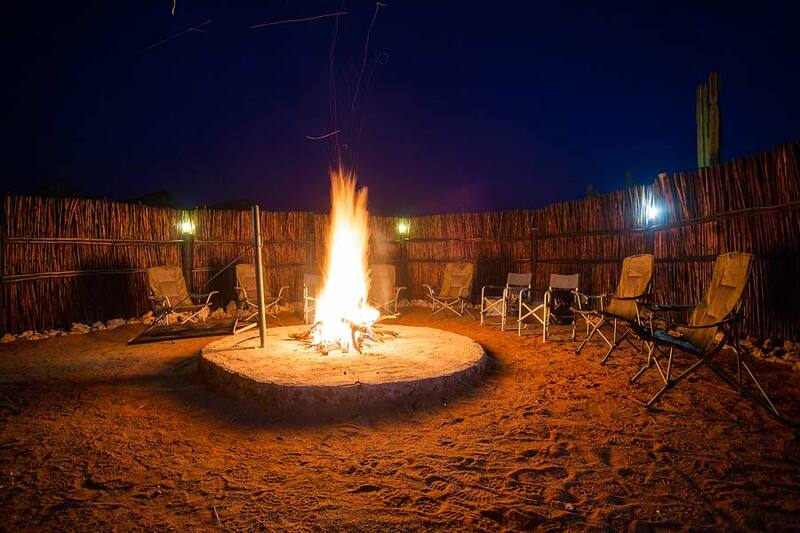 Another popular bonfire seating layout involves a recessed pit plus seating area in a rectangular or crescent-moon shape. The seating is typically regular lawn furniture accompanied by colourful accent pillows. Experienced landscape designers recommend installing LED lights near the bonfire pit for a number of reasons. LED lights save energy, are dimmable and provide ample illumination without eclipsing the bonfire pit. Other lighting options include fairy lights, rustic pendant barn lights, tiki lamps, and miniature lamp-posts. 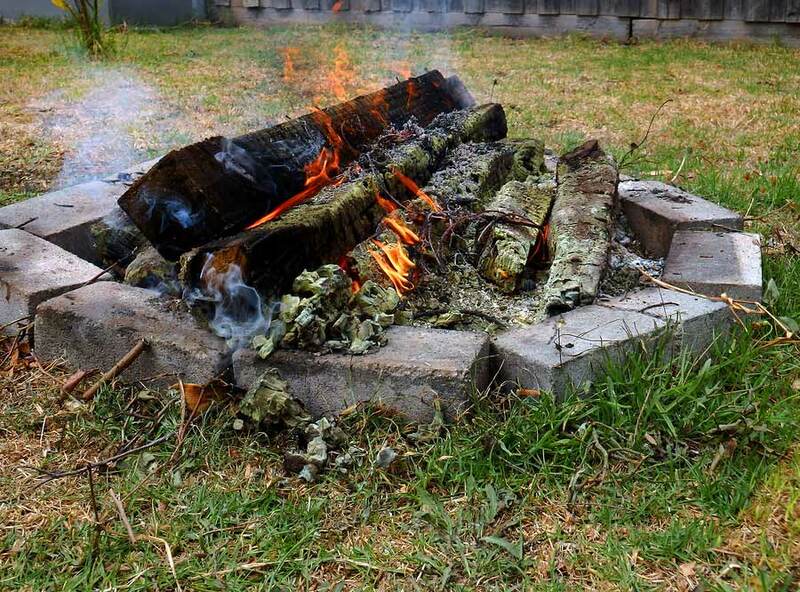 Clear out any dangling tree branches, and loose dry flammable material like leaves or paper from the bonfire pit area. Be responsible and inform the neighbors about your plans for a bonfire. Let them know when gathering will end so if someone is sensitive to smoke, they can avoid being outdoors during that time. Double-check with the local authorities if there are any restrictions on lighting bonfires in your neighborhood. Make sure all pets, as well as young children, are kept away from the bonfire pit. They should not be anywhere near the bonfire, especially if they are unattended. Along with a fire extinguisher, it would be wise to have a garden hose on standby in case of an unruly fire. Serial party-throwers like to liven things up by adding in sky lanterns, some live music and even party games to their bonfire gatherings. While there are a number of qualified design professionals in the city, take the time to meet with those who also have experience in construction in Lahore. Not only will they be able to assist with the upcoming bonfire project, but they can also guide you on future home renovation work.